Take a video tour of our Serviced Apartments and facilities and see for yourself why we are the 'Best Value' in Chiang Mai! And then book one of our incredible offers including TRY BEFORE YOU BUY | ONE FREE NIGHT or LONGSTAY RATE OF THB 9,000 MONTHLY ! Notes : 1) For Weekly Stay the longer you stay the cheaper it gets. ie., second week 20% discount and third week 30% discount from the first week rate (as quoted in the table above). Prices for room only, inclusive of 7% VAT and 10% Service Charge and 24 bottles of Singha drinking water. Thiese are cash payment prices. Credit card payment is subject to 3.0% bank fees. Weekly rate is inclusive of 7% VAT, 10% Service Charge, electricity and water expenses. Electricity THB 8/unit. Water THB 200 for the first 5 units and THB 40/unit thereafter. Security Deposit : Equivalent to one month room rate. On check-in date guests will be required to pay two months rent, being one month advance and one month security deposit. 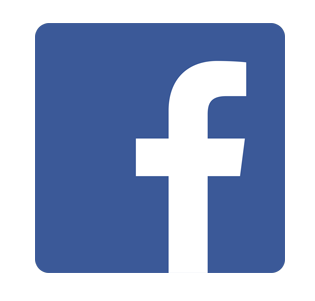 Big cleaning service fee on check-out date THB 500. Family and Deluxe-twin rooms are reserved for nightly guests. Limited stock for Longstay rooms. Please check availability. 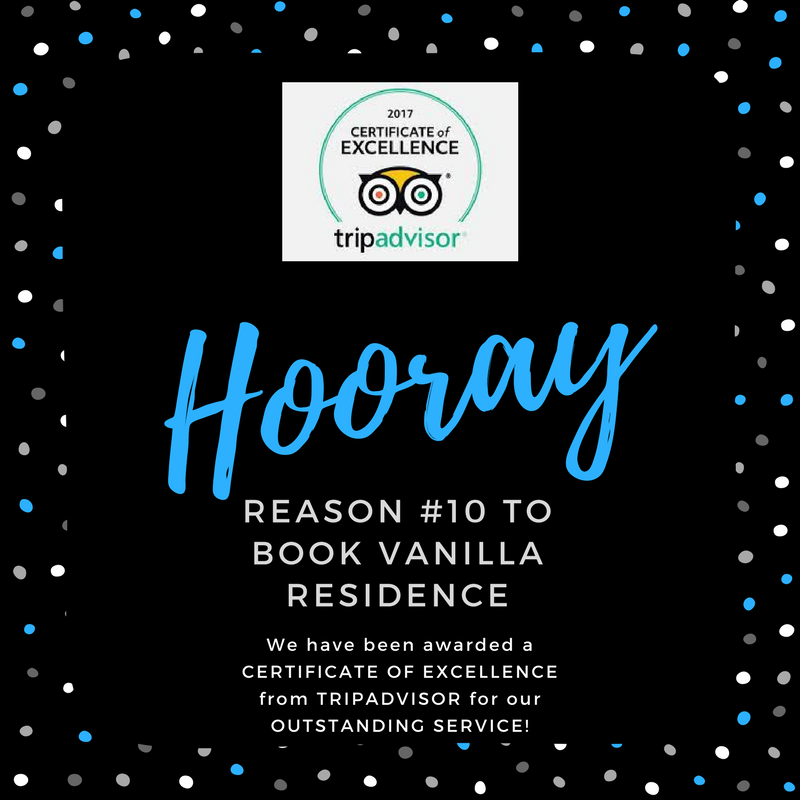 10 Reasons to choose Vanilla Residence for your serviced apartment stay. Looking for the best value residence or serviced aparment stay in Chiang Mai? 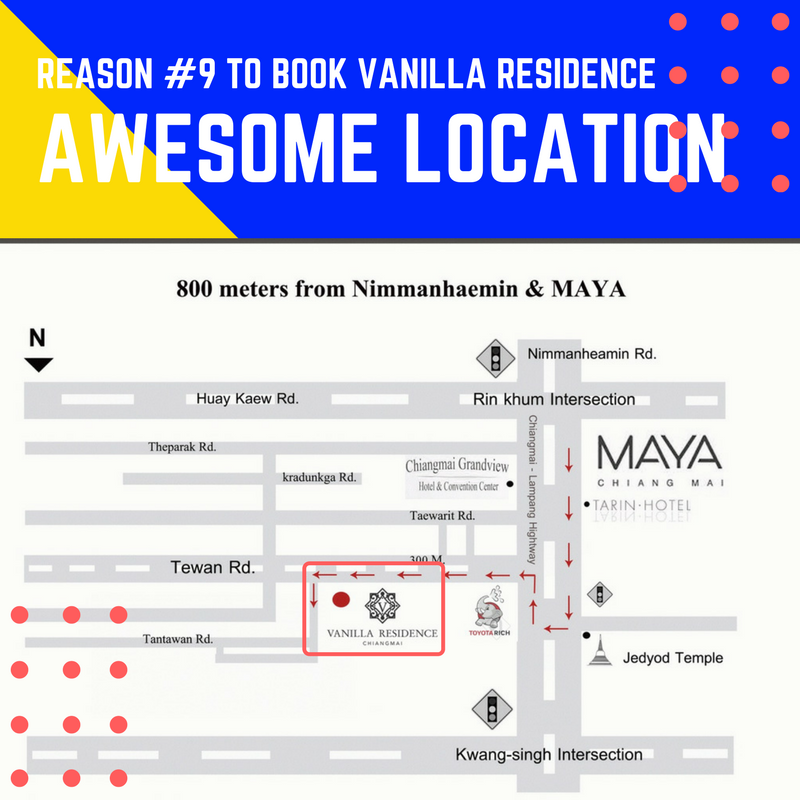 Here are 10 incredible reasons to look no further than Vanilla Residence. Chiang Mai is the best place to live in the world. You have already chosen the best city in the world for your stay, now choose a residence that helps you to enjoy your time here to the fullest! Safe & Secure! We want our guests and residents to feel safe and secure in their new home, so we take great care to have staff on duty 24/7 and always be checking on the safety and security of our building and guests. Free Coffee! Our residents are always the first in the office or out on the bike on Monday mornings! All because we never run out of coffee! Enjoy another delightful reason to call us home. We have more fun! Stay with other healthy, active and lifestyle oriented residents and make new friends for life. 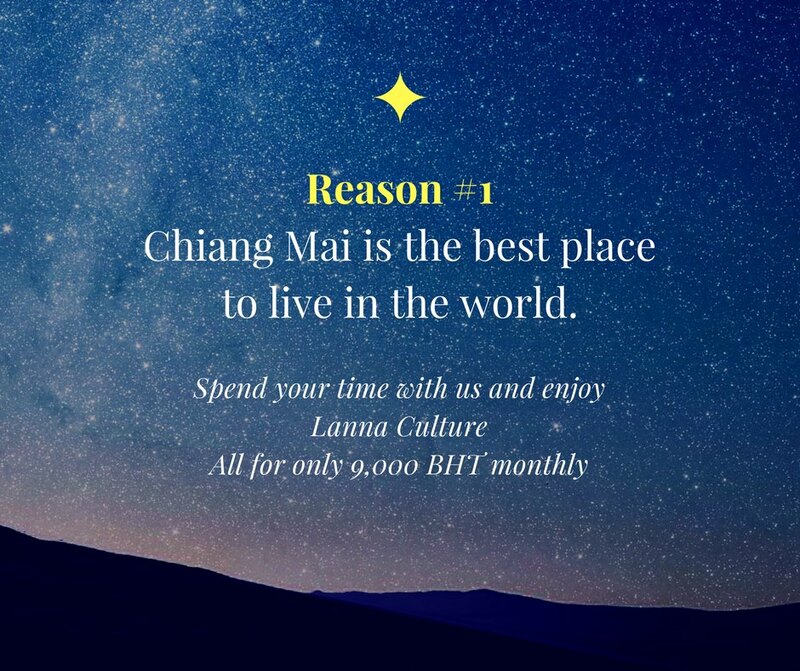 Our guests enjoy and have fun in the incredible city of Chiang Mai! Healthy living! We believe in a healthy and active lifestyle. We have even partnered with Fitness Thailand for special rates for our guests to use their facilities for more than 50% off the normal monthly rates! Incredible Extras! Not only do you get a great rate, you also get a load of extras including FREE Wifi, Weekly Cleaning, 1 Case (24 bottles) of Singha water and FREE parking! 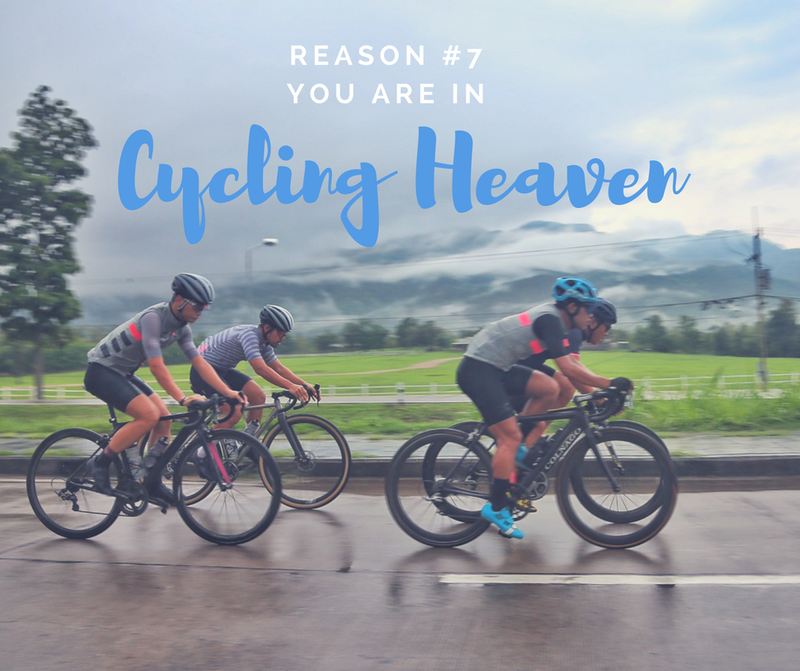 You are in cycling heaven! We have the facilities and services to help you store and maintain your ride as well as map your way around Chiang Mai on 2 wheels! It's just simple math! 9,000 / 30 days = THB 300 DAILY! WHAT A DEAL. 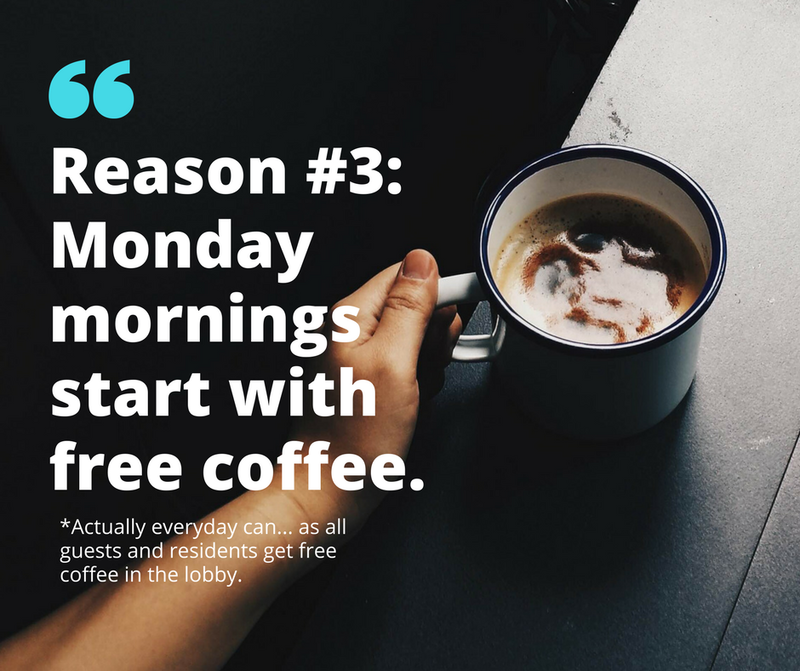 Reason #9 is our awesome location! Easy access to Nimman Road, Maya Mall and the main highway! But tucked-in behind the noisy and busy main roads. 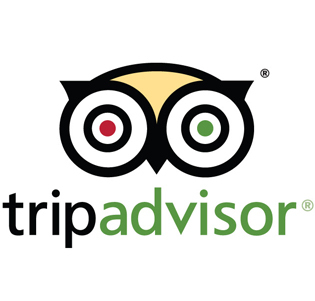 We have been awarded a Certificate of Excellence from Tripadvisor for our outstanding service!